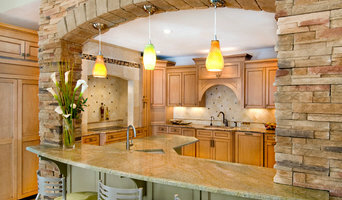 Wholesale Independent Manufactures Representative for cabinet and countertop companies. With 30 years of experience in the Building Products industry, L. Thibeault & Associates is a wholesale manufacturer representative bringing only the best quality kitchen and bath cabinetry to retailers throughout New England. Our entire team is committed to meeting the needs of our customers by focusing on bringing the latest designs from the kitchen industry to our wholesale retailers and ultimately, to homeowners. As a result, a high percentage of our business is from repeat customers and referrals. We represent Sunco Cabinets and Eastman St. Woodworks, a mid-priced affordable cabinet lines built to stand the daily rigors of everyday life. Both lines provide affordable quality and value. Eastman St. Woodworks is manufactured in New England using the highest quality North American Hardwoods. 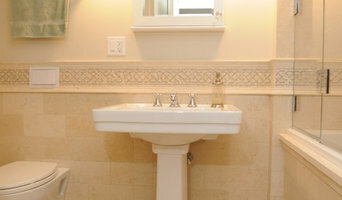 Use the Houzz Professionals listings to find Burlington, MA kitchen and bath accessory vendors. Don’t rule out asking a kitchen manufacturer’s design team for help, too. Skills often can be overlapped to save you time and money! Here are some related professionals and vendors to complement the work of kitchen & bath fixtures: Kitchen & Bath Designers, Kitchen & Bath Remodelers, Interior Designers & Decorators, Cabinets & Cabinetry. Find kitchen and bath fixtures and accessories, plus installation experts, on Houzz. Check out Massachusetts kitchen products and installers, and bath plumbing products and installers, on Houzz. You can also look through project photos provided by Burlington, MA renovators, retailers and designers.